MEGL is an experimental research lab in pure mathematics at George Mason University (L106 Exploratory Hall) focusing on the interplay of geometry, topology, algebra, and dynamics. We develop alternative modes of experiencing mathematics and engage in grassroots public outreach that fosters excitement about mathematics. Our activities naturally lead to development in 3D printing, virtual reality, and parallel computing. DONATE HERE. All donations support research, visualization, and outreach. MEGL and its sister labs have been prominently featured in the AMS Notices. 2018 GMU Math Awards: Mary K. Cabell Award to the Outstanding Mathematics Student went to Marvin Castellon , and Genevieve G. Feinstein Award in Cryptography went to Seth Lee, Amer Beslagic Award for outstanding performance in math in the Freshman and Sophomore years went to Julian Benali. Cigole Thomas has been selected for the TC Lim Award for Excellence in Teaching. Jack Love has won the college level Dean's Award for Excellence. 2018: MEGL member Marvin Castellon has won best poster/presentation at the Undergraduate Research Colloquium at GMU for his collaborative work with mentor Dr. Lawton, graduate student Cigole Thomas, and undergraduate Seth Lee. 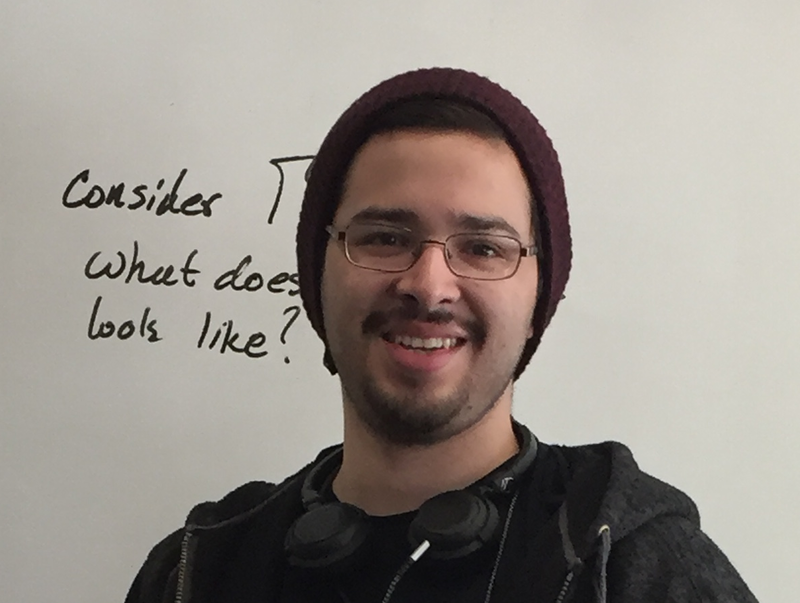 2018: MEGL member Marvin Castellon has been accepted in the mathematics PhD program at UC, Berkeley with the Chancellor's Fellowship. MEGL member Stephanie Mui has won the regional competition to compete in the 2016 Intel International Science and Engineering Fair based on her work on embedding geometric surfaces in 3D (see examples of her 3D prints and 3D movies of tori and spheres). At the IISEF in Arizona she won the first place award of $2000 from American Mathematics Society. 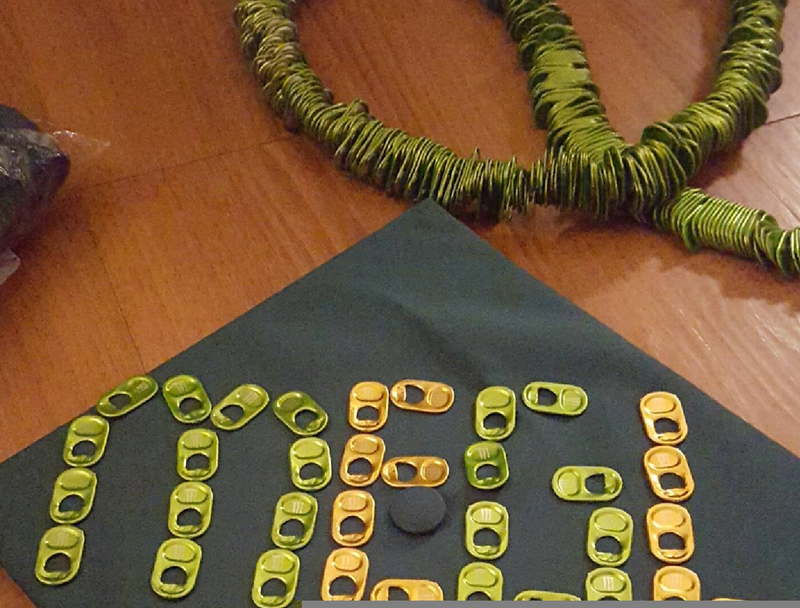 Stephanie is GMU's youngest graduate. Here is NBC coverage and FOX coverage. Washington Post article. 2017: Tim Reid will be going to NC State to start a PhD program in computational algebra (with a "signing bonus"), Stephanie Mui will be going to the Courant Institute of Mathematical Sciences at NYU with a full research fellowship to pursue her PhD, Mae Markowski will be starting a PhD program in Computational and Applied Mathematics at Rice University (honorable mention in NSF-GRF 2019), Jermain McDermott will begin a PhD program at the University of Maryland, College Park (he won numerous research fellowships and scholarships, but alas, could not accept them all), Zhusong Mei will begin a masters program at Carnegie Mellon in financial mathematics, and Patrick Bishop will start a PhD program here at GMU. 2017 GMU Math Awards: Mary K. Cabell Award to the Outstanding Mathematics Student went to Mae Markowski, and Genevieve G. Feinstein Award in Cryptography went to Mary Leskovec, Excellence in Teaching Award went to Jack Love. Tim Reid won an OSCAR grant to do research in MEGL during Fall 2016. He will be continuing his search for "special words" in free groups. UPDATE: his work won a 2017 OSCAR Student Excellence Award, and was featured at the National Conference on Undergraduate Research where Tim presented his work. 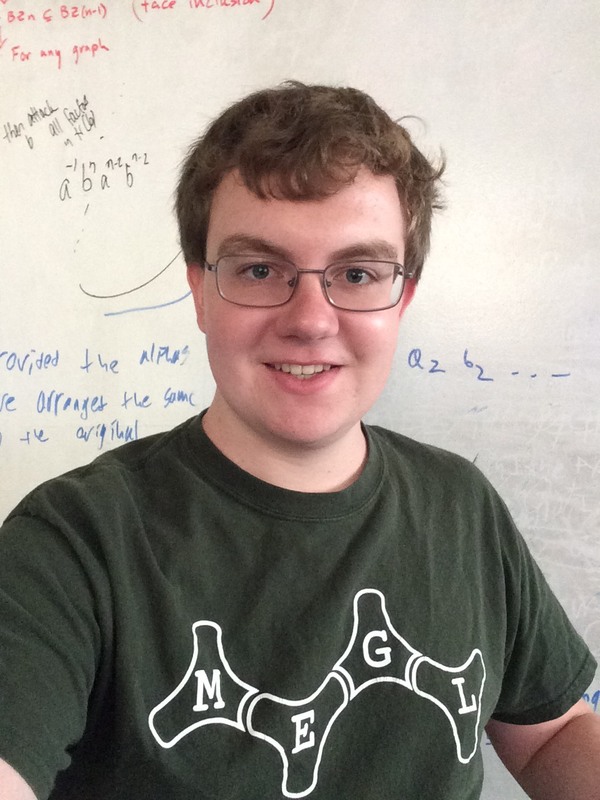 MEGL member Austin Alderete has won the National Science Foundation Graduate Fellowship in Mathematical Sciences - Algebra, Number Theory, and Combinatorics based on his research during Summer 2015 and Fall 2015 under the tab Polytopes. He is now pursuing a PhD at the University of Texas-Austin.